In a case with broad national implications, the U.S. Supreme Court has agreed to consider the constitutionality of lethal injections as practiced in Kentucky. The Justices will hear a challenge filed by two Kentucky death row inmates, Ralph Baze and Thomas Clyde Bowling, Jr. The two men sued Kentucky in 2004 claiming that the state's lethal injection process amounts to cruel and unusual punishment, noting that the procedure can inflict unnecessary pain and suffering on the inmate. 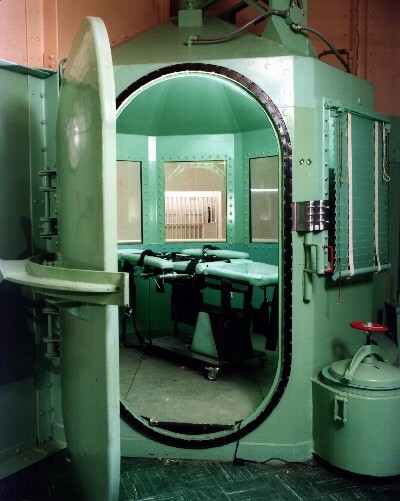 Prior to today's decision, the U.S. Supreme Court has never ruled whether the mix of drugs used in lethal injections violates the Eighth Amendment's ban on cruel and unusual punishment. In a previous ruling, the Court had made it easier for death row inmates to contest the lethal injection process used across the nation. The case is No. 07-5439, Baze et al. v. Rees et al. This will be broadcast again, so check your local PBS station for more information. But if you want to watch it now, online, go here. You'll be glad you did. "Why? Because we can." Though it seems childish, that's the only reasoning one can imagine for certain correctional policies, especially in Texas. 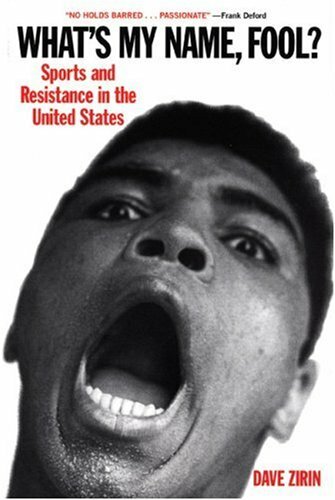 To wit: Death row prison Kenneth Foster Jr., who is scheduled to be executed on August 30 though he was a full 80 feet away when the murder in question was committed, has been denied access to a book about baseball (the book cover is pictured above). Apparently, Dave Zirin's book is seditious and inflammatory enough to incite riots (which, as you might imagine, are quite easy to coordinate on Texas' death row). Foster's case overall is appalling. Richard Amos, who was previously incarcerated for 20 years for murder, is now being charged with the strangling death of a graduate student of the University of Colorado. Although the prosecution intends to seek life imprisonment, Amos insists that the death penalty is a fair punishment. He even went so far as to threaten the life of a police officer in order to have his wish fulfilled. At his hearing, he waived his right to an attorney and opted to represent himself in court, hoping to end the trial as quickly as possible. 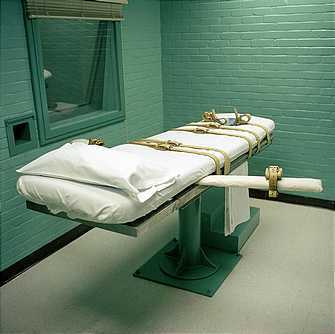 It can be argued for many states that there is an effective moratorium on the death penalty, due to the extreme lengths of time many inmates spend on death row. This is especially true for a state like Colorado, which has had only three executions in the past 30 years. Amos is scheduled for an hearing October 5 where he will be able to enter his plea for execution. "I am trying to do the right thing - one last thing" he insists. "And I can't even get support on that." This isn't exactly without precedent. Gary Gilmore received the death sentence for a murder conviction in 1976, and he too wished to be executed. Although his lawyers filed appeals on his behalf, against his wishes, he rejected the appeals and was executed in January of 1977. The trial and execution was made into a book written by Norman Mailer, The Executioner's Song. Terry and Lucy Smith were murdered in their home in Ephrata six years ago, but the convicted killer, Landon May, is still alive on death row. Terry Smith's daughters are against the death penalty, and have advocated for life without parole for May, while his sisters want May to be executed. The Lancaster New Era's Jack Brubaker looks at how the May case replicates Pennsylvania's uncertainty about the death penalty. Life row: Does Pa. really have a death penalty? Every now and then we like to feature essays written by our interns, who have a unique point of view on the criminal justice system. The one below is by Mary Crocker, a Drew student who grew up in Berwyn, a town outside of Philadelphia. (Any R5 riders out there?) Mary was particulary struck by the death of Elijah Page, who was executed last night in South Dakota. This case really challenged her deeply held beliefs -- which just happen to be the beliefs of the Prison Society. The Prison Society is against the death penalty in all cases and life without parole in many cases. When one has beliefs that seem as black-and-white as these, there comes a time when these beliefs are challenged by a bit of gray. Last night, Elijah Page was executed by lethal injection, and declared dead at 10:11 p.m. 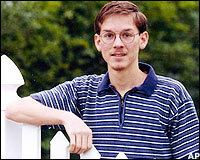 Page was sentenced to death in 2000, for the murder of 19-year-old Chester Allan Poage (pictured) during the course of a robbery. The murder was nothing short of brutal. Page and two others forced the young man to take off his clothes and go into an icy creek. There they stabbed, kicked and beat him with large rocks, and tore his ears off. They forced him to drink hydrochloric acid. The torture, during which the victim begged for his life, was over the course of two to three hours. During that time, Page and his partners kept this person alive, but on the brink of death, all the while experiencing unimaginable pain. If there were ever a case where I could say honestly that I believed that a person deserved the death penalty, this would be it. If any good has come of this whole ordeal it is that we can be sure that Page will never be able to do this again. That might help me sleep a little easier, and for that reason, it would be incredibly easy to say that his execution was a good thing, but I will not. Page committed a horrendous crime, and deserves to be punished accordingly. However, I believe that his punishment should reflect society’s beliefs and values. One of those values that we as a nation and we as a species hold highest is the value of a human life. What good does it really do, to add another body to the count of one crime? What good does it do to remove a person from this world, who could have gone on to give back to the society he stole from? This execution, and all executions for that matter show me the exact opposite of what they are supposed to. They show me that we do not value human life. How could we, when in order to prove how highly we value it, we end it? And what of the other lives touched by this execution? What of Page’s family? Will they now get the same kind of support and sympathy from the community that the victim’s family got and probably continues to get? What of the people who administered those lethal doses of sodium pentothal, pancuronium bromide and potassium chloride? While they are not murderers, I can’t imagine that they don’t feel that way sometimes. At 21 years old, I haven’t seen enough of this world, and the way it works, to be so jaded as to say that there is no such thing left as black and white. I am beginning to see less and less that way. There is one thing however that I will always be able to say with certainty: I am against the death penalty. I know that I will always be able to say that, because of days like today, when something challenges that belief. These challenges are what make my beliefs stronger, so I guess that is the only good that has come of this execution. This is a speech given by Vickie Shieber, whose daughter was killed several years ago, and who speaks as a victim against the death penalty. She's a member of Murder Victims Families for Human Rights, which is a member of the new Pennsylvania Moratorium Coalition. The video is courtesy of local students Abby Wheeler and Dan Kovacs, who filmed and edited the video. The justices ruled 5-4 in the case of Scott Louis Panetti. He was convicted and sentenced to death for shooting his in-laws in front of his wife and young children in 1992. Panetti suffers from delusions, a condition that his lawyers say keeps him from comprehending the reason or purpose of his death sentence. 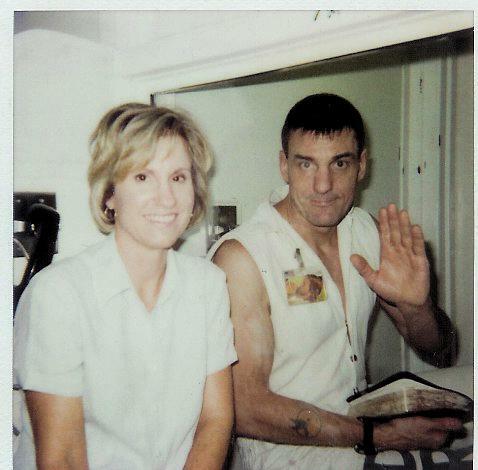 Prior to the murder of his in-laws, Panetti was hospitalized 14 times in 11 years. When he represented himself in court, he wore a purple cowboy suit and wanted to subpoena JFK and Jesus. Amnesty International opposed the imposition of the death sentence for Panetti, and their call for human rights has just barely managed to squeak by in the Court. Gregory W. Wiercioch, a staff attorney with Texas Defender Service who argued the case before the Supreme Court in April, hailed the decision. He said, "The Supreme Court today reaffirms the wisdom of a legal principle nearly a thousand years old, that the execution of persons like Scott Panetti serves no purpose and offends our sense of decency and common humanity."